A typical day in the average American household includes many things: soccer games, determining what to cook (or pick up) for lunch or dinner, carpools, dance lessons, after-school events, school board conferences and the list goes on. It's remarkable how we manage to be everywhere at once and not explode from the pressure. On top of everything else, families have to make sure that everyone is up to date with the dentist, doctor, orthodontist and other appointments (not including the randomly broken bones or chipped teeth from a soccer game or bike riding accident). Selecting a family dentist could be the solution to this dilemma: the family can go to one dentist for all the family's dental needs. Have the annoyance of keeping up with yearly appointments, cosmetic work or oral surgeries? Selecting family dentistry gives the family the luxury of making one phone call for a 10-year-old, spouse, teenager and even elderly relative or parent. Some family dentists even allow same-day appointments, making life just a little bit easier! While making dentist appointments for everyone in the home, there is no restriction for the family, not even a six-month or yearly cleaning. Numerous family dentists offer a variety of services, including cosmetic dentistry, bonding and dental implants. For those family members who might have a little fear of the dentist (this term is known as odontophobia), many dentists suggest oral sedation to help patients receive dental care without being tense or uncomfortable. A family dentist understands that schedules do not stick to standard workday hours. For example, a nurse on a night shift with a partner who works a day job and kids who have after-school events until 6pm every night has hours that may not be accommodating to a dentist office. Or possibly a single parent with two jobs needs to rush from one commitment to the next. 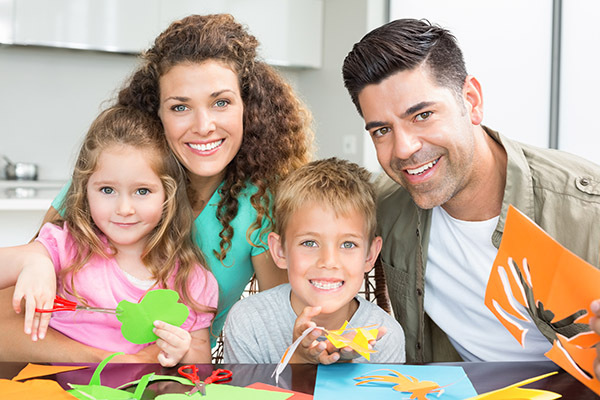 Whatever the situation is, family dentists are willing to work with the family and have more hours that are suited to family life. For example, a family dentist can offer an emergency contact number for when their office is technically closed. Family dentists understand that family members of various ages have different dental needs, and an emergency could happen at any moment. That is why they are there for patients, not when it's convenient for the dentist office, but when you and your family need them most. When selecting a dentist, consider a family dentist who can provide hygiene care treatment to anyone and everyone in the household. Some family dentists offer a multitude of services that can eliminate the hassle of multiple dental checkups in multiple offices for the family.